Comp-Tac revamps its eV2 holster, adding new make and model fits for concealed carry style guns. Previously known as the eVade, the appendix carry eV2 holster now accommodates the following pistols: CZ P01, Glock 26/27/28/33 Gen 1-5, Glock 42, H&K VP9SK, Ruger Security 9, Smith & Wesson M&P 2.0 4-inch 9mm/.40/.45 and Sig P938. The new models join the eV2’s current lineup which includes the Glock 17/19/43, Smith & Wesson M&P Shield 9mm/.40 and Sig Sauer P365. The AIWB holster uses a Kydex build to enhance retention while its tuckable nylon clip covertly clings to the belt line, according to Comp-Tac. The eV2 also sports what the company calls a “Kick” — a wing style attachment that improves concealment and minimizes printing by forcing the grip of the gun into the body. 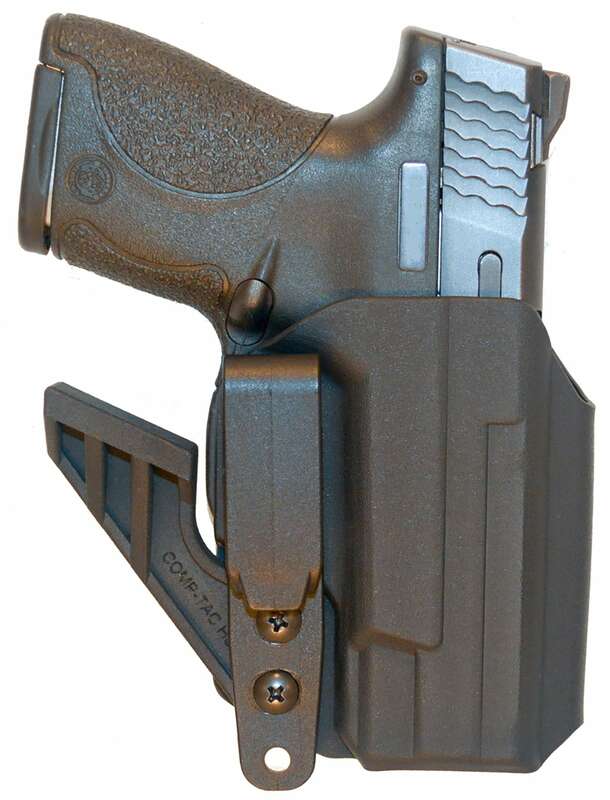 “Adding new make and model fits to all our holsters is an ongoing goal for Comp-Tac. There are many great weapons companies out there that are making more concealed carry options every day. Adding more fits to our holsters is an important part of our support of individuals or professionals that carry a firearm,” said Gordon Carrell, General Manager of Comp-Tac, said in a news release. The eV2 AIWB holster is available through Comp-Tac with a MSRP of $57. The post Comp-Tac introduces new fits to eV2 holster appeared first on Guns.com.